South Kensington â€“ what could be more chic! With the classical elegance of its buildings, stylish cafÃ©s and bistros this is the place to be in London, and, of all the Kensington Hotels, Jurys Kensington Hotel is the place to stay. Jurys Kensington Hotel has 171 rooms with 3 junior suites while, for people with business on their minds, there are 4 conference suites. 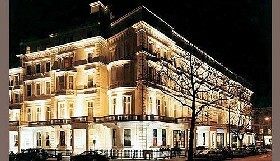 This is a wonderfully located Kensington hotel â€“ minutes from Harrods, Hyde Park, Olympia and Earls Court. Jurys Kensington Hotel offers everything one would expect from a hotel of its calibre - you couldnâ€™t be better placed. The Kensington Hotel (formerly Jurys Kensington) is a Tourist hotel. Located in City Centre - Kensington area. Shopping is accessible by bus/taxi and the nightlife/restaurants are easily accessible by taxi or bus from the hotel. Descriptionclass="small" style="text-align: justify; font-size:11px;">South Kensington â€“ what could be more chic! With the classical elegance of its buildings, stylish cafÃ©s and bistros this is the place to be in London, and, of all the Kensington Hotels, Jurys Kensington Hotel is the place to stay. Jurys Kensington Hotel has 171 rooms with 3 junior suites while, for people with business on their minds, there are 4 conference suites. 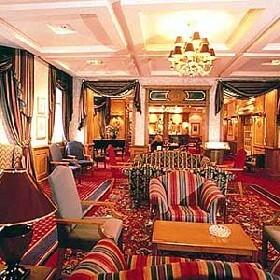 This is a wonderfully located Kensington hotel â€“ minutes from Harrods, Hyde Park, Olympia and Earls Court. 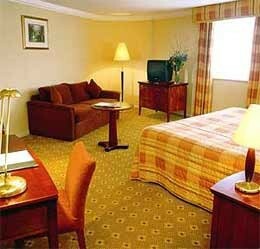 Jurys Kensington Hotel offers everything one would expect from a hotel of its calibre - you couldnâ€™t be better placed.